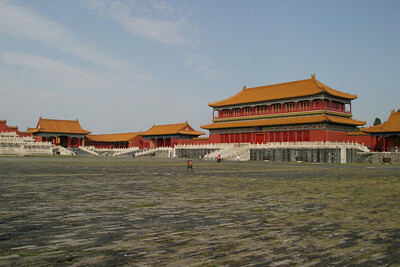 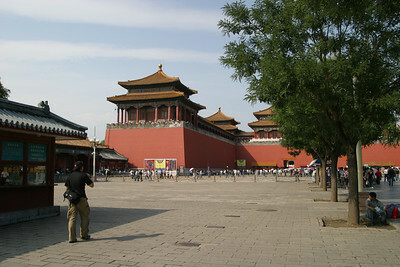 I found the Forbidden City hard to photograph, the scale being so large that one can hardly hope to capture the grandeur of its conception with pictures taken on the ground. 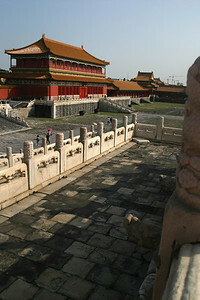 These pictures show many of the most important buildings of the outer and inner courts, but I fear do not do them justice. 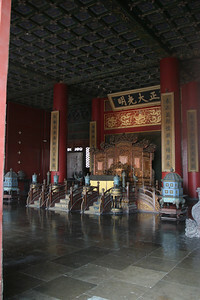 Far more successful, I think, are the later photos of the more intimate spaces off the central axis of the palace complex. 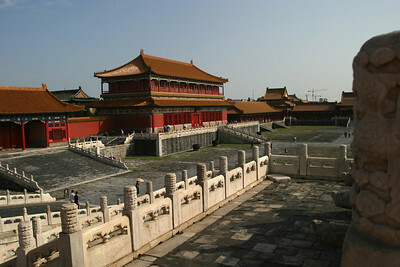 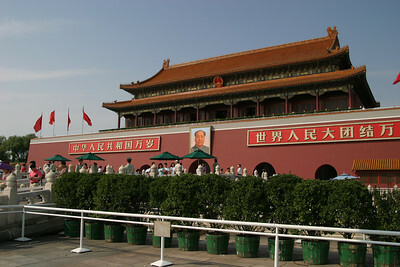 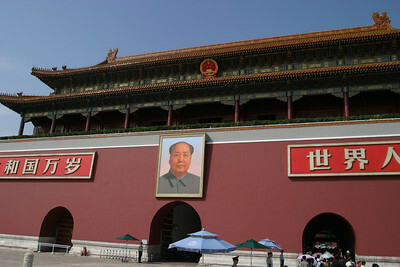 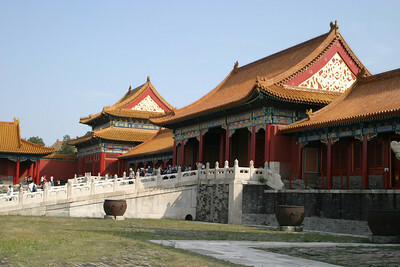 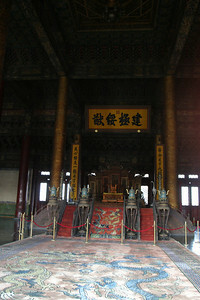 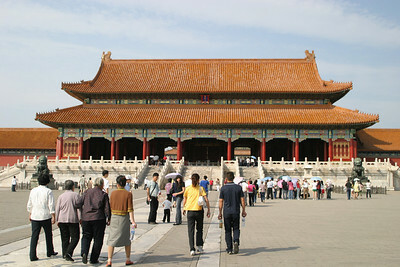 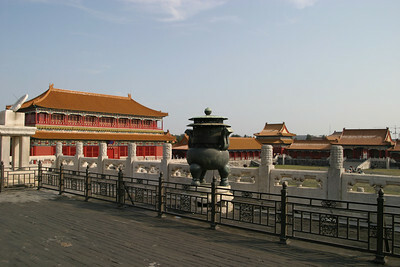 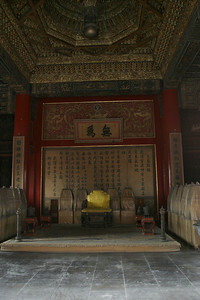 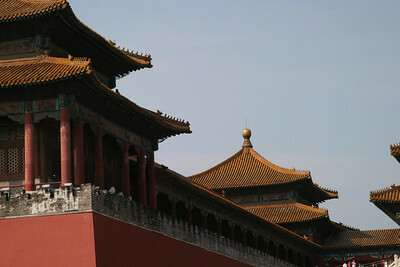 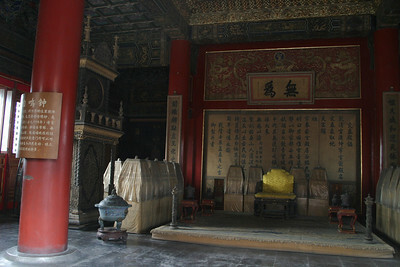 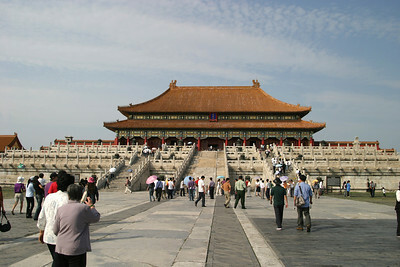 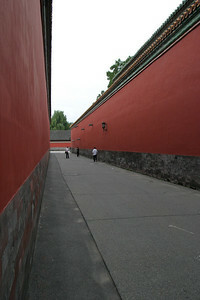 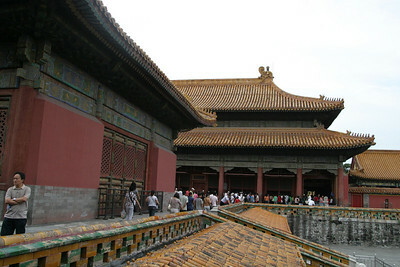 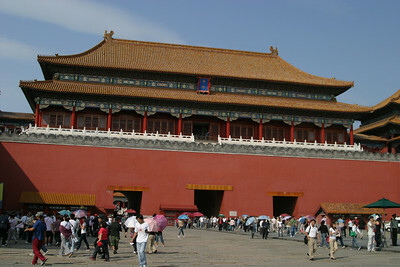 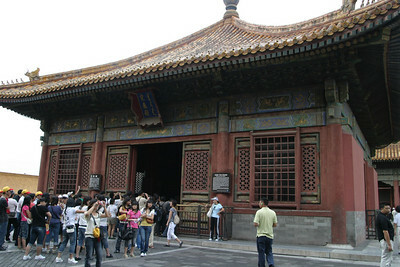 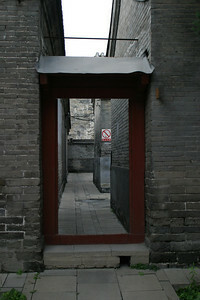 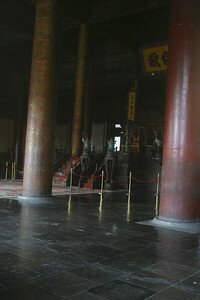 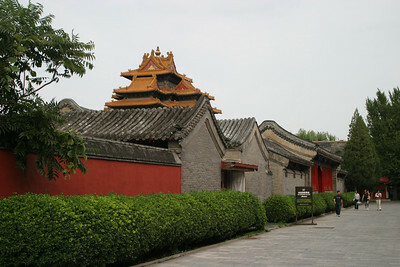 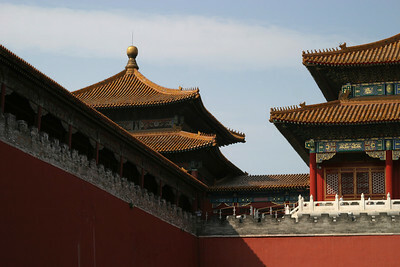 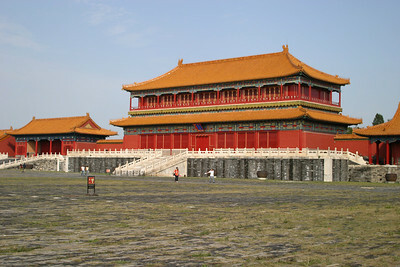 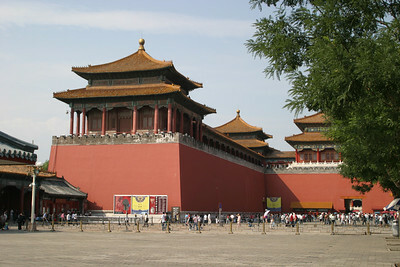 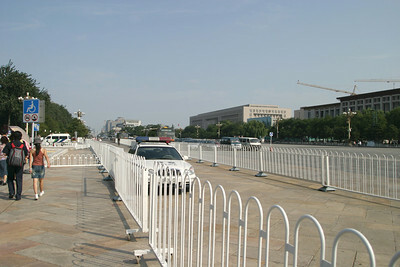 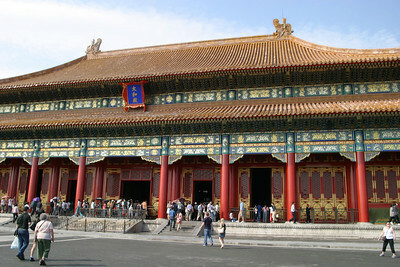 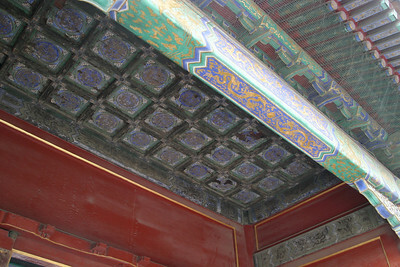 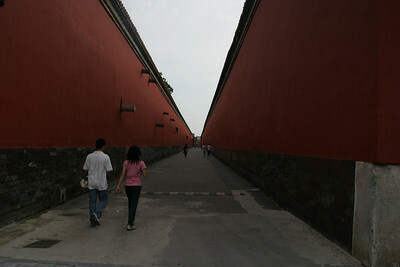 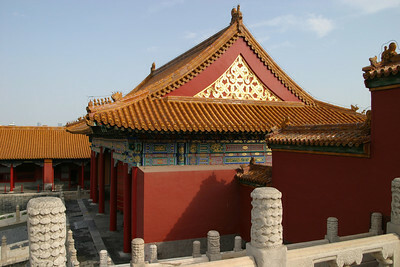 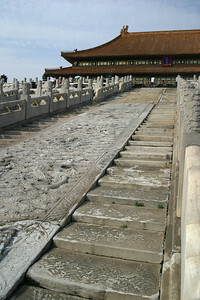 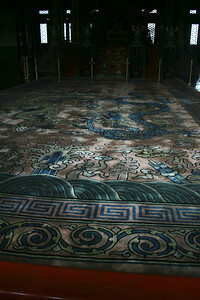 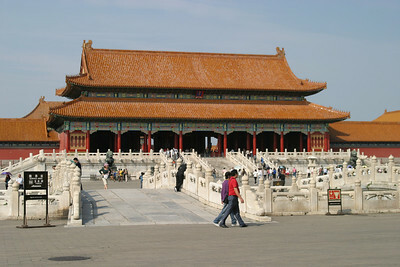 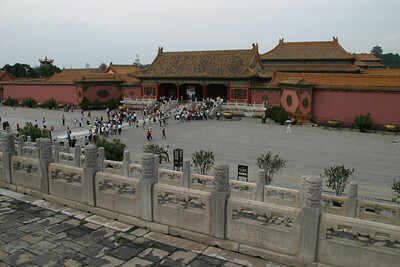 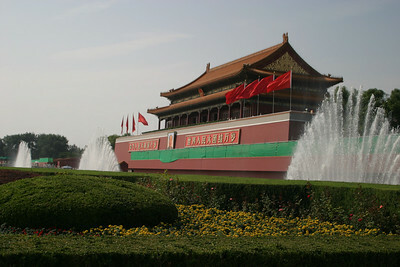 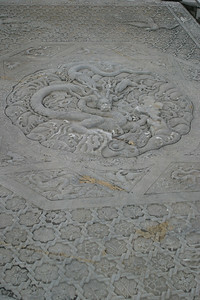 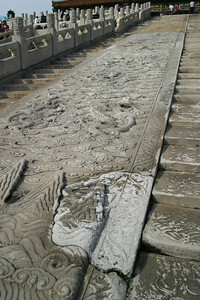 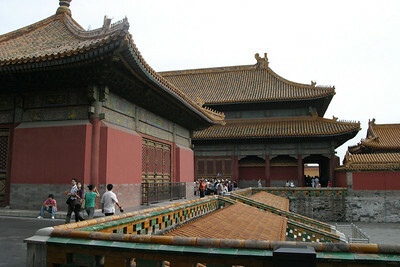 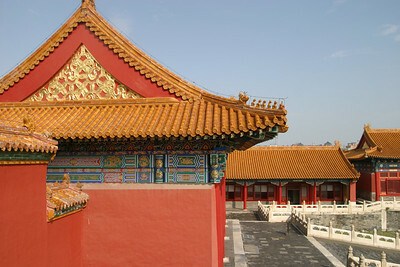 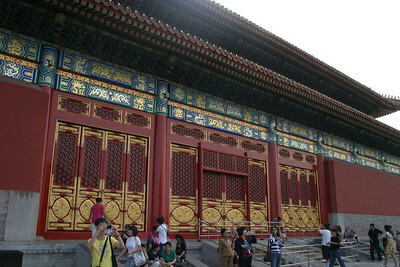 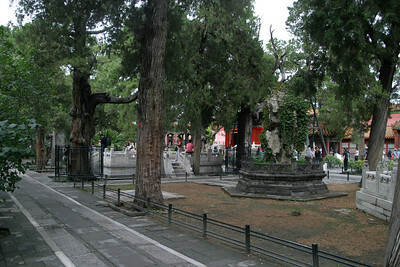 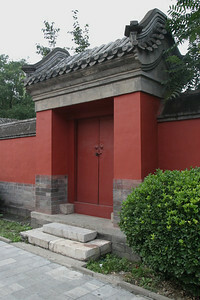 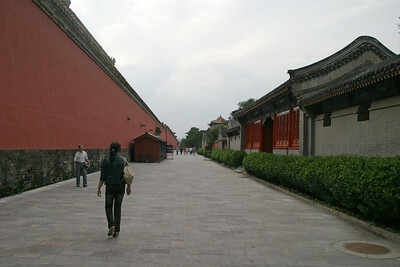 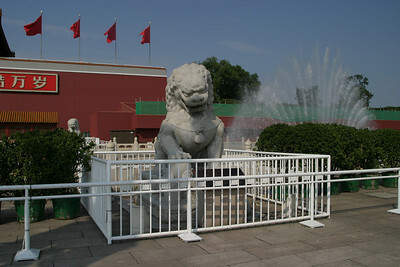 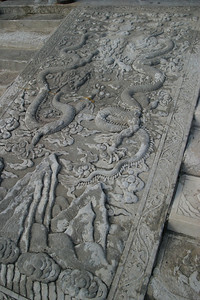 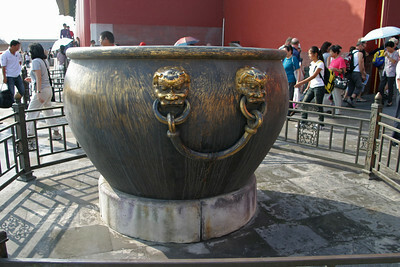 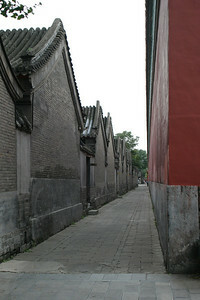 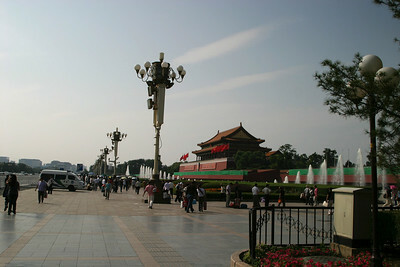 The dragon was the symbol of the emperor, and appears everywhere in the Forbidden City.